It certainly looked dated, the mid-2000s psychological horror that finally made it to the UK last month in Higurashi When They Cry. Let’s face it, it was an anime that looked bad even for the mid-nineties, and the way the way the story unfolded, at least at first did nothing to inspire. Although I did mention in my review of that first series that horror isn’t my genre of choice on a good day. 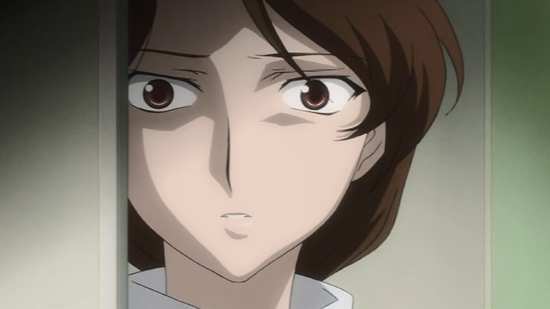 But by the time I had gotten to the end of that 26 episode run, taken in the final two of its six arcs, Higurashi had caught my attention, inspired my interest, and got me wanting to know more. 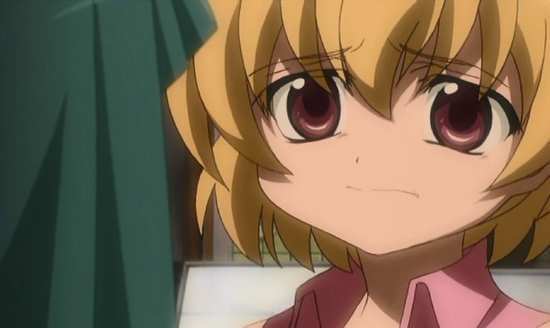 I get that chance now as MVM release the second of the three series, Higurashi – When They Cry Kai. Since that last review, MVM have also announced that the three series will be released individually on Blu-ray in 2019. This year has seen the show released on DVD in individual season collections, as well as a three season BD megaset. Let’s see what macabre events await the denizens of Hinamizawa in these 24 episodes. 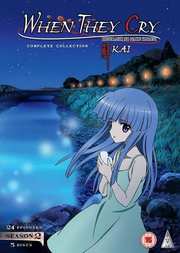 Three arcs of Higurashi, 24 episodes are presented across 5 DVDs from MVM. Higurashi When They Cry gets a 1.78:1 anamorphic NTSC transfer on these discs. 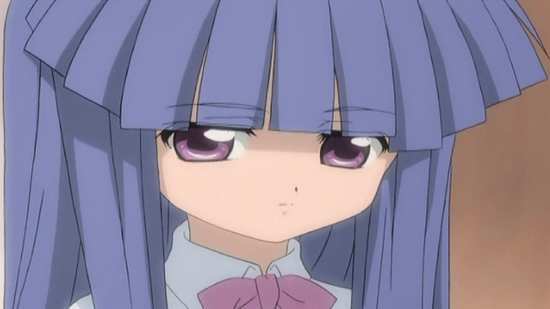 Higurashi is a distinctly lacklustre experience when it comes to the visuals. The character designs are simplistic, as is the world design, and the animation is minimal. It looks like a Flash animation, and an old one at that. Colours are basic and flat, and character designs refuse to stay on model for long. However, this season is an improvement over the first in that aliasing and similar digital artefacts are kept to a minimum. There also seems to be an increase in the level of detail, especially backgrounds. You still want to have kept an old CRT TV to watch it on, but it is just about bearable on an HD panel. About the only saving grace is the ‘psycho face’. When previously normal, cute characters turn murderous and crazy, the transformations are spectacular. Unlike the first season, you only get a DD 2.0 Stereo Japanese track, with subtitles locked during playback. 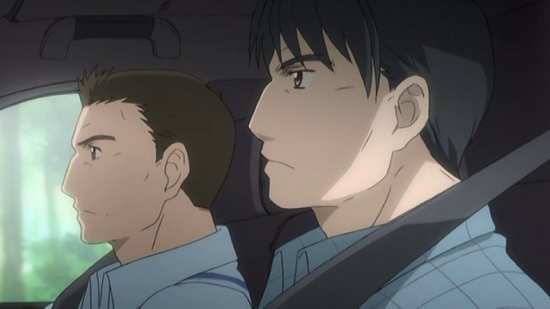 The dialogue is clear, and the show gets decent enough stereo separation to enhance the mood and drive the drama of the story. The subtitles are accurately timed and are free of typos. The discs present their content with static menus and jacket pictures and each episode is followed by a translated English credit reel. Disc 1 has trailers for Akame ga Kill!, Parasyte the Maxim, The Fruit of Grisaia, Re:Hamatora. 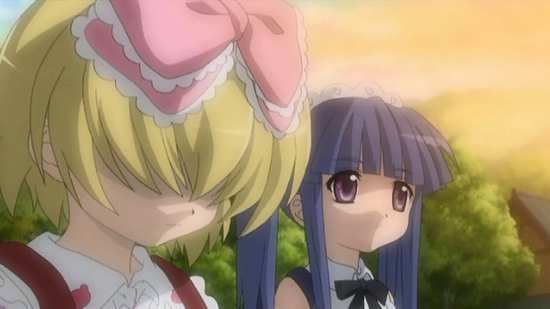 I really do not want to spoil Higurashi: When They Cry, an inherent danger when discussing a sequel series. Once again, psychological horror isn’t my genre of choice. And once again, the production values are on the low side, even if there is a slight improvement over the first series, although some of the animation towards the end of the series feels like it was phoned in. 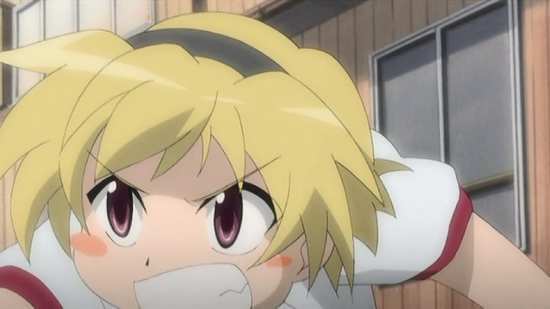 But the second season of Higurashi: When They Cry suckered me in just as the first series did; indeed it was even more rewarding as it revealed the secrets of its story, and delivered a resolution worth the investment of time that you might have put in for its 50 episodes. But I have to admit that it didn’t make it easy. The first arc in this collection doesn’t bode too well, as it merely offers more of the same, although it does begin with a bonus episode, catching up with Rena Ryugu aged 30, years after the final arc in the previous series. It’s then followed by one more iteration of insanity and murder in Hinamizawa in 1983 during the Cotton Drifting Festival, but we do get some more of the blanks filled in. It’s the next arc, Mass Slaughter which changes things completely, by introducing a new character, Hanyu. 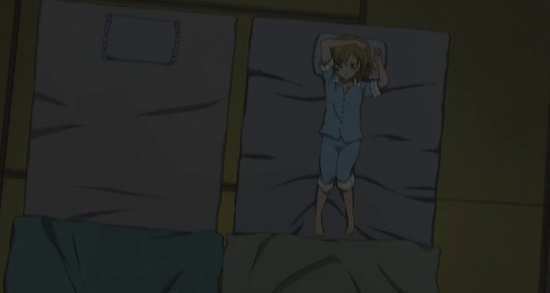 This was the first point where I was tempted to eject the disc, as all of a sudden, Higurashi was doing Quantum Leap. If Rika was Sam Beckett, Hanyu is Al, which is more than enough of a reference to spoil this show if you are a Quantum Leap fan. What this arc does though is that it fills in all those remaining blanks. We finally get to understand what is really happening in Hinamizawa and why, which primes us for the final arc. 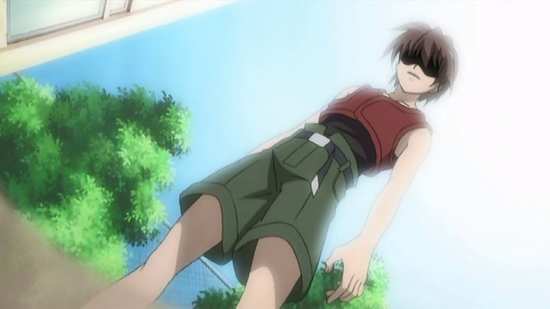 Festival Orchestrating is where it all comes together, a final chance to break through fate, to turn back the inevitable tide of history, to break out of the infinite loops of The Endless Eight, which is another spoilerworthy reference for you. Once again this arc tries to alienate me first, by beginning with a plot thread that justifies the villain’s intentions by revealing the villain’s own tragic past. I really don’t like when shows do this, as not every evil laugh and maniacal megalomania needs to be motivated by a whole heap of tragedy imposed upon them in childhood. That inevitably means that another villain motivated them in turn, and you might wonder what happened in the ‘evil stepmother’s’ past to make them evil, and so on ad infinitum. 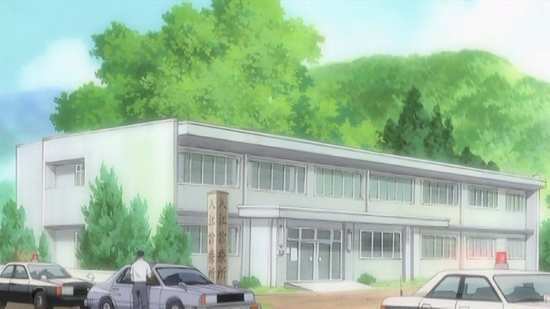 But this prequel plot-line does have the added benefit of showing what happened in Hinamizawa in the years and months prior to when the main storyline recurs. 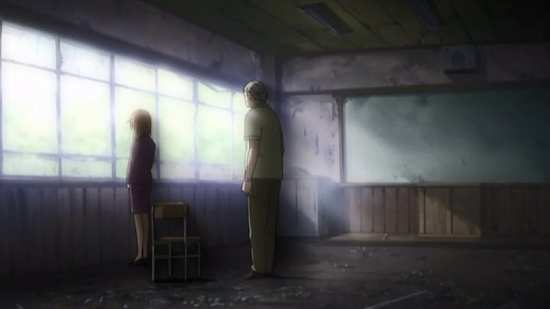 Despite all this, Higurashi: When They Cry – Kai does deliver a worthy end to the story, and it doesn’t leave any loose ends or dangling plot threads. This may cause a few scratched heads at the third series, a question of just what it can add to a story that is complete in this collection, but that is a question for another review. 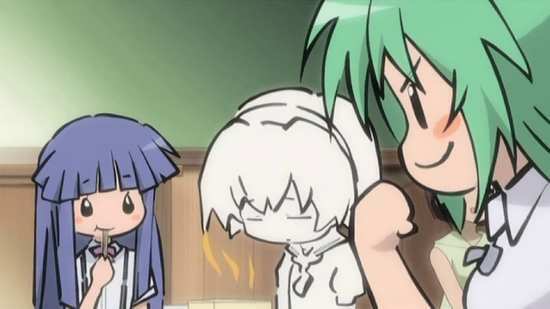 I didn’t exactly have a great time watching Higurashi, as it’s not the kind of show that I go for, but I do admit to no little satisfaction at the resolution of its story. If you did indulge in the first series, then you simply must have this second season to see how the story ends, and hopefully I have managed to get through this review without spoiling it too much.